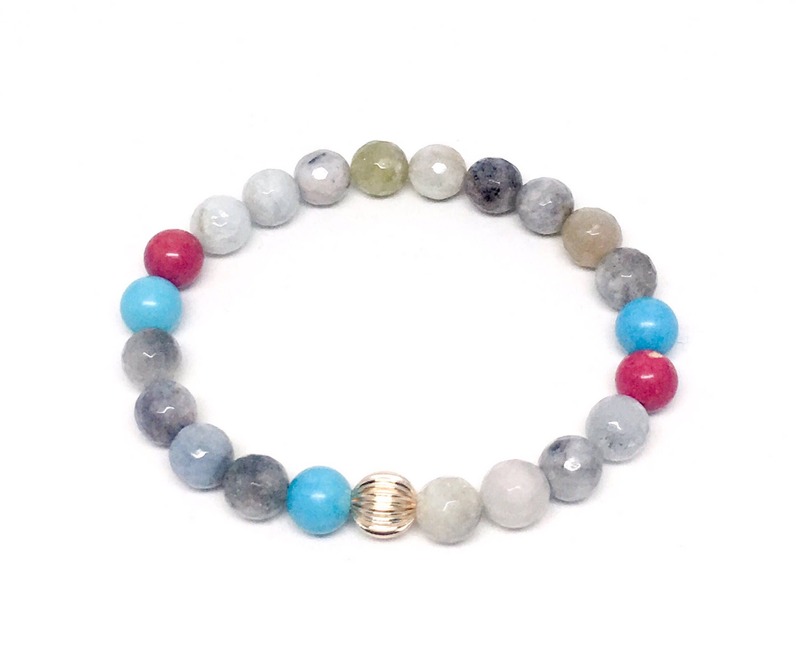 Women's bracelet with Aquamarine and 14k gold filled. 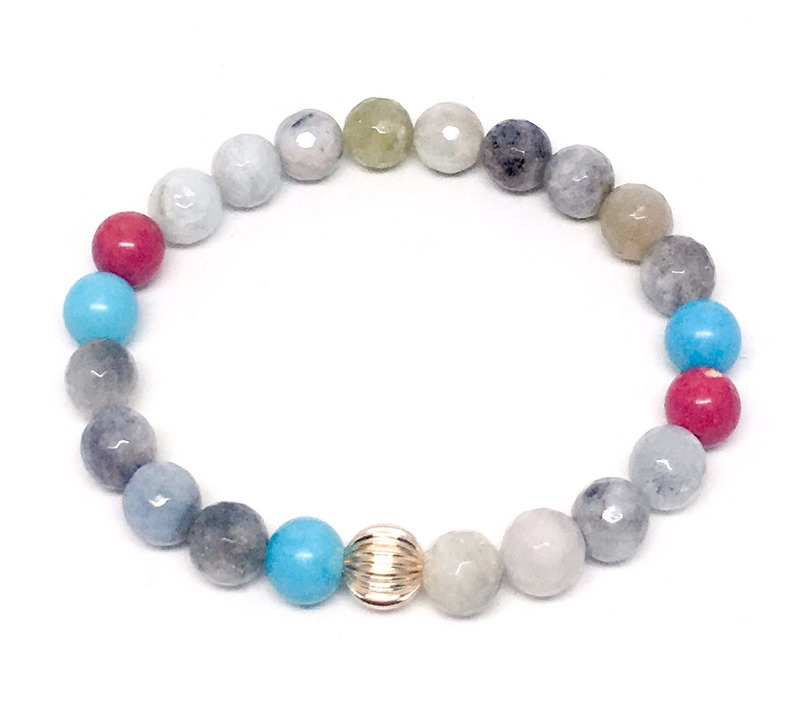 Stunning, beautiful beaded bracelet made with 8mm Aquamarine, 8mm Red Sea Sediment, 8mm Howlite Turquoise and 14k Gold Filled bead. Aquamarine is associated primarily with the throat chakra.